In conjunction with the ArtWalk, Schoeni Art Gallery will once again sponsor one of its gallery spaces to the Society for Community Organization's (SoCO) exhibition. They are the Hong Kong ArtWalk 2013 beneficiary organisation and will hold a 10-day photo exhibition on the homeless people in Hong Kong. 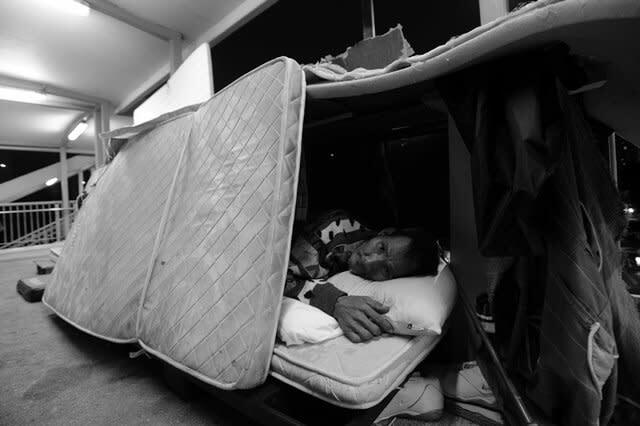 These monochromic photographs not only highlight the appalling living conditions these homeless people are daily confronted with, they further delve into the needs of each of the homeless person and compel us to reflect on the treatments of these destitute members of the society.